On New Year’s Eve the players in the fracking industry popped their champagne corks but it was not to celebrate wonderful success as they had done the year before. Rather it was to drown their sorrows. The USA’s Energy Information Administration (EIA) has now released this year’s first Drilling Productivity Report so we can now summarise what happened with fracking for shale oil and shale gas during 2015. One the map you can see the areas in the USA that accounted for 92 % of the increase in oil production and 100 % of the increase in natural gas production during 2011-2014. These are the areas included in the Drilling Productivity Report . The other areas can make only small contributions to increased production and when we look into the future there are no new large areas that can begin to contribute large production volumes. To give a complete picture of the areas with fracking I will also show this map from the EIA. The Barnett Shale in Texas is a big producer when it comes to shale gas but its production is not growing. Fracking exists in these areas today and it will exist in them tomorrow. 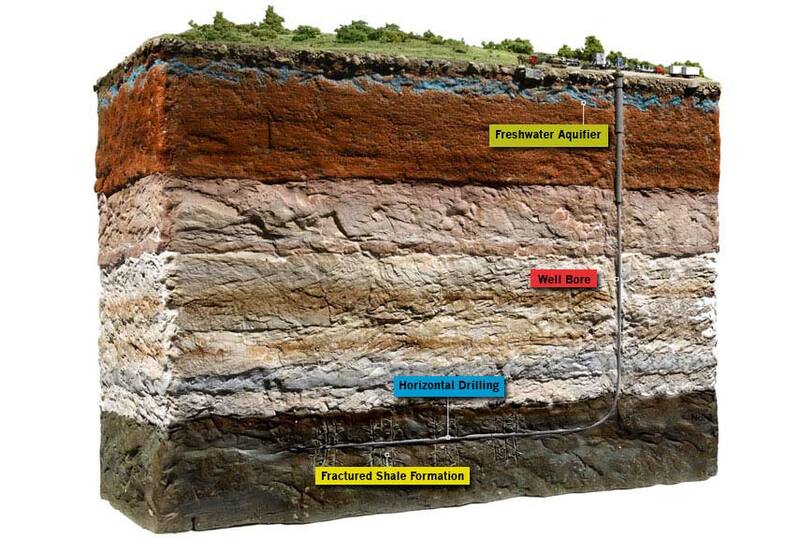 Shale oil was produced first from the Bakken Shale and then came Eagle Ford. Oil production in the Permian basin is a mixture of shale oil and conventional oil production and this is an area where shale oil production began later. There are not as many wells in the Permian that can rapidly deplete. When I wrote the chapter on fracking in my new book, “A world addicted to oil” I asserted that production from wells in Eagle Ford decline faster than for wells in the Bakken Shale. Visible evidence for this is that production in Eagle Ford has declined more in percentage terms than in the Bakken. The smaller shale area Niobrara has a mid-level production rate. We will now focus especially on the Bakken and Eagle Ford shales. If we look at the number of drilling rigs that are active in the Bakken shale then we can see that activity has contracted dramatically during 2015. In the beginning there were around 200 rigs and now the number is under 50. In Drill, Baby Drill David Hughes showed that production from the Bakken would decline by 40% during one year if no new wells were drilled. The figure shown here does not show production per well but, rather, how efficiently oil producers can utilize individual drilling rigs. It will be interesting to see what happens with future production from the Bakken shale. We see that oil production in the Bakken began to level off already before the number of drilling rigs declined dramatically. The Bakken was on its way to reach maximum production capacity. Since mid-2015 we can see a clear decrease but it will take a few more months before we can see the real decline. When/if drilling rig activity increases again the oil producers will find that there are no longer any “sweet spots” available because they have all been drilled intensively already. Here we can see a “sweet spot” in the Bakken. The number of drilling rigs in Eagle Ford has also decreased dramatically from 250 at the end of 2014 to 100 now at the beginning of 2016. The production from wells in Eagle Ford typically declines very rapidly and after two years it is 87% below the production peak. The rate of well production decline should affect total production from the Eagle Ford shale more than from the Bakken shale. Just as expected we see a stronger decline for total production from Eagle Ford than from the Bakken. Thus another of my predictions has been validated. The decline is very palpable at all of 30 % during 10 months. Such a dramatic decline would not have happened if they had put drilled wells into production. The strong decline indicates that they are drilling wells but are also delaying the final large investments needed to frack the wells for hydrocarbon production. The dramatic decline in production that we see will continue in coming months. There is a risk that smaller operators will encounter financial problems and companies with more money in their financial pockets will buy up the drilled, unfracked wells and wait for better times. In Eagle Ford as in the Bakken most of the drilling has been in the sweet spots. The volume of oil production from fracking in the USA was up at around 4.3 Mb/d in April 2015. If one summarizes the issue of declining oil production in the areas where only fracking occurs then production is now down by 0.9 Mb/d. Before the summer arrives the decline in production will be greater than 1 Mb/d. The fact that Saudi Arabia has not cut back its oil production to support the price of oil has been called Saudi Arabia’s “war on fracking”. At the moment it appears to be succeeding. All too many investors have burned their economic fingers playing the fracking game and “once burned, twice shy” will be the rule. There are many indications that we will never again see production of shale oil in the USA exceed the level reached in April 2015. Fewer investors will be interested in gambling their money on it. The “fracking boom” is presumably over.